Are those fins we see? Lexus is filling a hole in its line-up with the UX compact crossover. 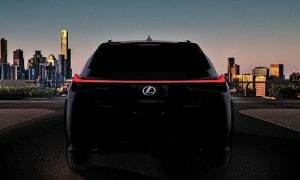 The eagerly awaited Lexus UX is finally set to make the transition from concept to production, Toyota’s luxury brand set to pull the wraps off the compact crossover at the upcoming Geneva Motor Show. 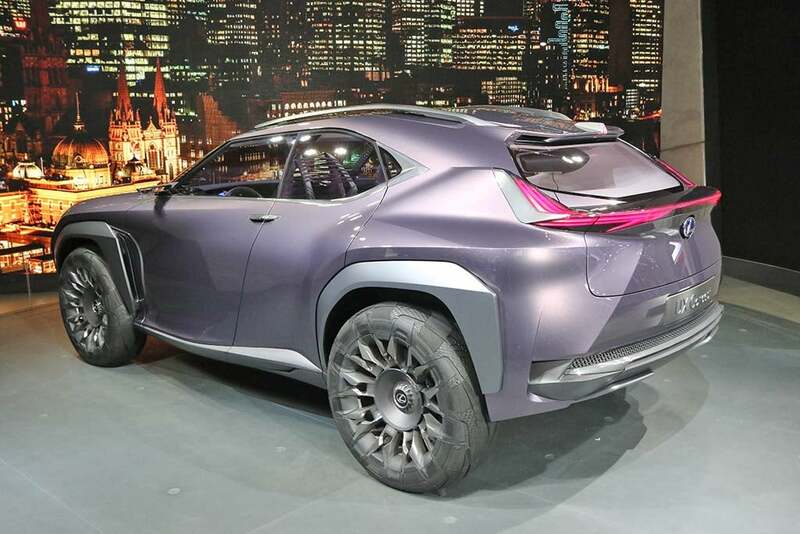 With utility vehicles gaining ground on conventional sedans and coupes in virtually every major market, the Lexus UX will fill another critical niche, the fast-growing compact crossover segment, just below the brand’s current NX model. 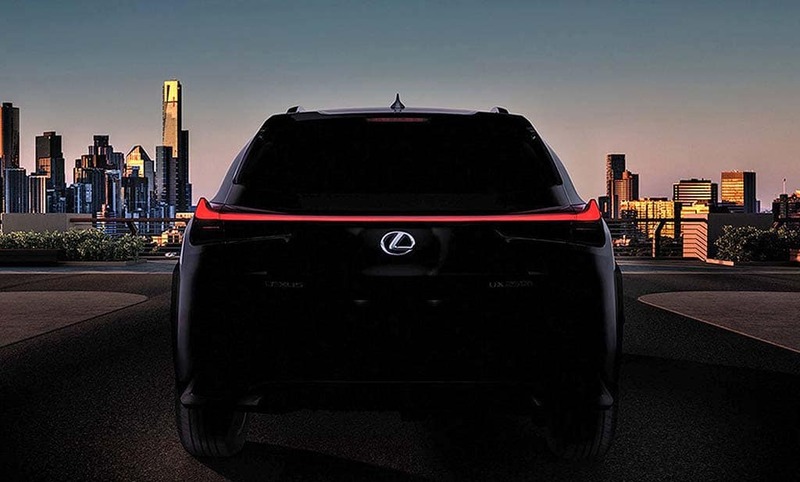 While the teaser image Lexus has released has been designed to keep most details hidden, it does reveal a few interesting things. The production UX, for one thing, apparently carries over the subtle fins shown on the earlier NX concept. Meanwhile, a bit of Photoshop magic uncovers what appeared to be a UX 250h badge, indicating a hybrid version of the new ute is in the plans. As seems to be the case with Lexus, it takes a cautious approach when entering a new segment. The UX, first shown in Paris two years ago, was billed as solely a concept, company officials downplaying, while not ruling out, any production plans. The styling renaissance at Lexus carried on with the UX Concept, although its a "concept" no longer. But it was immediately obvious they intended to make that jump, using reaction from the media and consumers to hone the show car’s distinctive design elements, including those rear fins – which seemed the least likely detail to hang on at the time. The underlying platform for the UX will be shared with the more mainstream Toyota C-HR, though it’s expected to get a bit more power than that ute – which was originally intended for the now-gone Scion brand. And there will be a lot more features befitting a near-luxury model. The automaker has reportedly trademarked a number of nameplate variants and may launch with a base UX 200 model, as well as a more sporty and well-equipped UX 250, along with a hybrid UX 250h that would fill a gap left open by the departed CT hybrid. 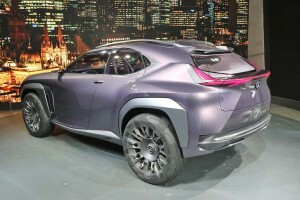 The Lexus UX will become “the fifth member of the brand’s extensive lineup of luxury utility vehicles,” it points out, a major shift from where things stood just a couple years ago, with the RX crossover dominating the family, along with the classic body-on-frame LX at the top of the line-up. But it isn’t likely to stop there. The UX is finally coming to life. The question is how much of the styling will it retain from the concept? Lexus unveiled the LF-1 Limitless Concept at the North American International Auto Show just last month, a prototype that hints at what could be in store if the marque were to offer a crossover counterpoint to the long-running LS flagship sedan. And while he wouldn’t confirm what comes next, U.S. brand boss Jeff Bracken said he would love to have a production version to “fill a gap” in the Lexus line-up. 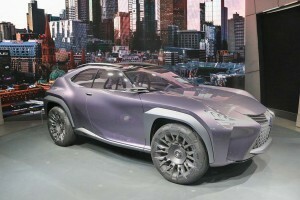 But Lexus insiders say the LF-1 will likely take a couple years to make the jump from concept to production. In the meantime, get set to see more about the UX when it makes its official debut in Geneva on the morning of March 6. This entry was posted on Wednesday, February 21st, 2018 at and is filed under Auto Shows, Automakers, Automobiles, Business, Geneva, Lexus, Luxury Vehicles, SUVs, Sales, Sales, Trends. You can follow any responses to this entry through the RSS 2.0 feed. Both comments and pings are currently closed.